Dame Zaha Hadid, a world-renowned architect whose designs include the London Olympic aquatic centre and an increasing number of Australian buildings, has died aged 65. The British designer, who was born in Baghdad, Iraq, had a heart attack on Thursday while in hospital in Miami, where she was being treated for bronchitis. 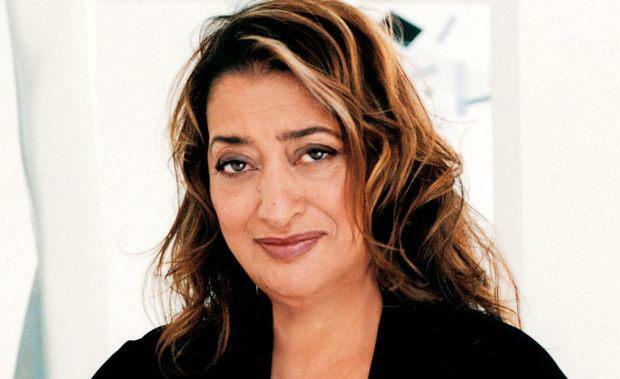 Hadid’s buildings have been commissioned around the world and she was the first woman to receive the Royal Institute of British Architects (RIBA) gold medal. Hadid was recently awarded the RIBA’s 2016 royal gold medal, the first woman to be awarded the honour in her own right. Architect Sir Peter Cook wrote in his citation at the time: “In our current culture of ticking every box, surely Zaha Hadid succeeds, since, to quote the royal gold medal criteria, she is someone who ‘has made a significant contribution to the theory or practice of architecture … for a substantial body of work rather than for work which is currently fashionable’. Hadid, who is largely regarded as the most influential female architect in history, made her mark on the world with extravagant buildings that embraced organic curves, and fluid lines. Though her career wasn’t without controversy, Hadid’s legacy will be her finished buildings, which were often imbued with an expressive sense of motion. Below, we have collected five of Hadid’s designs in memory of her genius.